Do You Need Window Repair in Evanston, IL? The quality of your windows has a direct impact on the durability of your home. Windows create the first barrier to keep out the harsh weather conditions. By maintaining the durability of your windows, you can protect the structure of your home and your belongings inside. Even if you install high-quality materials, there are times when window repairs might be necessary. When should you call a window contractor? If there is ever a question about the status of your window, the best thing you can do is talk to an expert right away. At Scientific Home Services Ltd, we have been in the window industry since 1928. Our family-owned business has worked hard to stay up with the trends in the industry. We offer high-quality materials and top-notch installation for every customer. There are some situations where it is obvious that repairs should take place as soon as possible. If the kids hit a baseball through the glass, you need to get that window replaced. Other possibilities might include a window that is unstable because of poor installation or if the rain is leaking through the window into your home. When an emergency situation happens, our team at Scientific Home Services Ltd is always available to help. We can provide fast service to replace broken glass. You are invited to call us as soon as you identify the problem and we will come to assess the damage and make recommendations for repair. In other situations, you can plan window repair at your convenience. Certain types of window damage and maintenance might not be as time sensitive as a broken pane of glass. For example, you might notice that the window is cracked, but it seems to be holding out the moisture. Even though the cracked glass looks like it is performing decently, you still need to consider how the crack might be impacting the efficiency of the window. A crack could bring in a draft that causes condensation. Eventually, it might result in mold growth in your home. Home maintenance is essential to help you protect the quality of your property. If you suspect that your windows need to be addressed, we invite you to contact our team at Scientific Home Services Ltd for more information about the services we offer. Another reason you might consider window repair is to upgrade your property. Investing a little bit of money now can go a long way to boost your equity and help you maximize the price of your home when you decide to sell later down the road. If you want to list your home on the real estate market, you need to be sure that you don’t have any problems with the windows or other areas of the home. Keep in mind that unattended window repairs will show up on the inspection report. 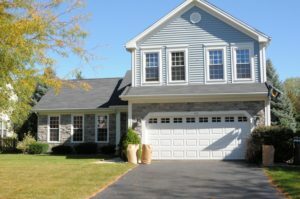 As a result, the buyers could potentially negotiate a lower price for the home since they will need to spend money to replace certain windows. Now that you can see the importance of repairing the windows in your home, the next step is to choose a contractor you can trust. Look at the window installers in your local area and make a few phone calls to learn about the services they offer. 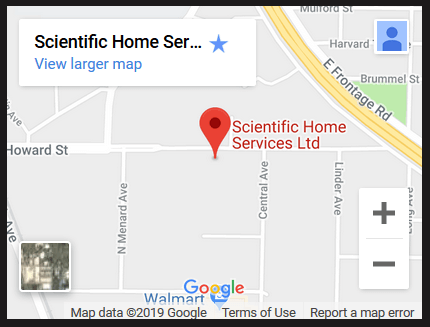 One of the benefits of contacting our team at Scientific Home Services Ltd is that we will schedule a complimentary in-home estimate. If you have a window that needs to be repaired, we will come to your home to see the damage. This information helps us to provide an accurate estimate and you will have the advantage of professional recommendations for the repair work. During this initial consultation, you have the opportunity to ask about the services we provide. In some cases, a few basic repairs might be good enough to protect the quality of your home. In other situations, it might be better to replace the entire window. You can learn about the material options and the repair work that is available, and then make the best decision for your family. If you notice any problem with your window, talk to a window expert as soon as possible to avoid more costly damage in the future. Call our team and we will help you find the best solution to improve the quality of your windows. At Scientific Home Services Ltd, we offer window repair in Evanston, IL and the surrounding areas. Are you interested in learning more? Come to our showroom at 5639 W Howard St, Niles, IL 60714. Or, you can call our office to set up in-home appointment: (847) 752-0370.